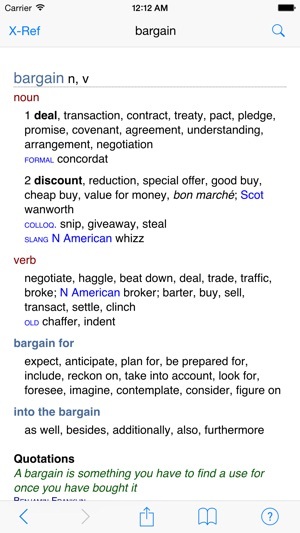 I bought this app, with the dictionary, a few years ago. 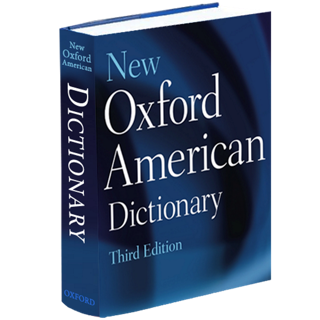 Since that time there have been several free updates to newer editions of the underlying dictionary & thesaurus: this is stupidly good value. The recent single-button to swap between dictionary & thesaurus is a really neat addition. 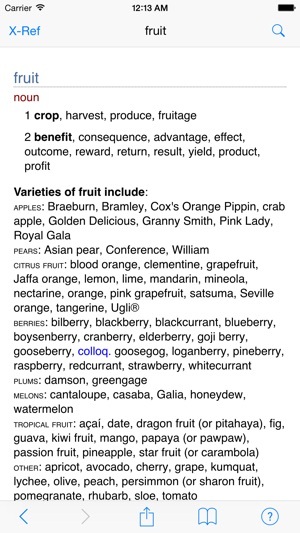 A note on z spellings: another app-store review complains bitterly about these, calling them 'US English'. 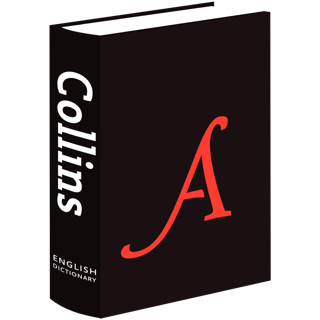 This is not the case, and indeed the Oxford English Dictionary prefers z spellings, as does the paper Chambers dictionary, of course, as well as Fowler. z or s spellings are a stylistic choice, or a matter of house style in UK English. In cases such as 'color' / 'colour' where the US / UK distinction is clearer, the app prefers the UK spelling (in the UK at least). Searching for, for instance, 'recognise' works. I’m using an iPad Pro with a Smart Keyboard for writing. 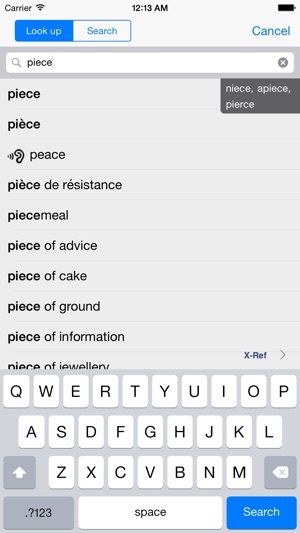 When I switch from my writing app to the Chambers Thesaurus, I would like to be able to focus the search field from the keyboard, instead of having to touch the screen. It would be nice if the developers implemented keyboard shortcuts, or, as a stopgap measure, added an option to have the search field focused automatically when the app is started/switched to. Thanks for such a useful piece of software! Never again. This and the related dictionary are perfect. Gone are the large heavy tomes that need £35+ updates every year or so. No longer the scrabble player's bible, but who cares, they are great.